Today is all about green, but we are not talking about dyed beer. We are talking about the good green stuff – marijuana. The Washington Post published anarticle yesterday about the building momentum for the legalization of marijuana across the country, similar to the policies enacted by states like Washington and Colorado. Also, according to the polling group General Social Survey, 52% of Americans now support the legalization of marijuana. That is a 9% growth from 2012. The continued growth in support for marijuana legalization is something exciting to celebrate this St. Patrick’s Day. Perhaps the luck of the Irish is good for the green! Thanks to the many grassroots activists making their voices heard for marijuana legalization, we are seeing changes happen across the whole country. Even in Texas we are witnessing legislators that are empowered by their constituents’ voices to propose common sense legislation this term for the legalization of marijuana. Republican State Representative David Simpson has introduced legislation that, if approved, would completely decriminalize marijuana in Texas. 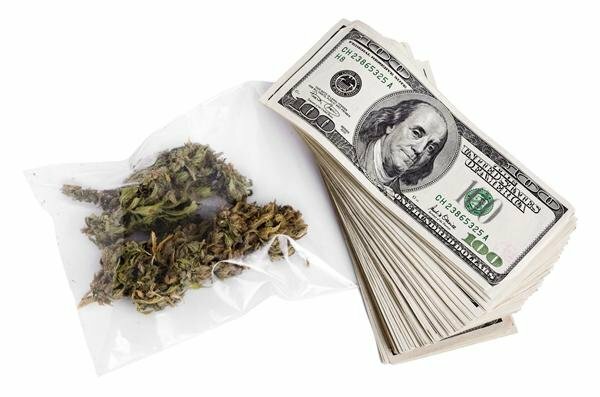 For states that have already legalized marijuana, they are seeing tenfold the positive impact it is having on their economies. In a recent report prepared for the Colorado Department of Revenue, the demand for marijuana is much larger than previously estimated. The report estimated that purchases by out-of-state visitors accounted for as much as 90% of retail sales in heavily visited mountain communities. These numbers speak very loudly for the positive economic impact a state can experience by legalizing marijuana. Mountain regions of Colorado depend heavily on drawing in tourists, and having one more thing to offer them as an incentive to travel there is an economic advantage over other tourist destinations without legalized marijuana. During this legislative term, Chad West, PLLC encourages you to call, email, write, tweet, and Facebook your state representatives and senators and ask them to support the full repeal of marijuana criminalization in Texas. From a social, moral, and simply economic perspective, it just makes sense! Also, if you or someone you know is arrested for any drug related offense, contact the attorneys at Chad West, PLLC for aggressive and effective representation in your criminal case. Chad West is a lifetime member of NORML and fights tirelessly for clients facing criminal charges.